Michael Jackson intended his run of 50 live concerts in London to be his live performance farewell and an event to share with his growing children, the director of his new movie said on Tuesday. In the last few days of his life, Jackson appeared to have “gone into another gear” while rehearsing for the concerts and showed no signs of drug dependency. “This is It,” a feature-length film built around footage of the final Los Angeles rehearsals before Jackson’s death on June 25 aged 50, hits theatres around the world on October 28 and looks set to be one of the biggest movies of the year. “This was it, this was his final curtain call. I think that what Michael wanted to do was to retire from performance and focus on film-making and other things,” said Ortega, who had been working with Jackson choreographing the This Is It gigs. Jackson died of a prescription drug overdose including a powerful sleep agent and sedatives. His sudden death triggered fevered speculation about his physical state. “He was excited, looking forward to (it), happy, pleased with what we had accomplished up until that moment and looking forward to finishing up the rehearsals in Los Angeles and moving on to London,” Ortega said. Reporters in London were shown about 12 minutes from the concert film and accompanying trailer. Jackson was rehearsing “Human Nature,” from his 1982 album “Thriller,” apparently singing on stage himself and working with musicians to coordinate music with his dance moves. He also performed “The Way You Make Me Feel” with a group of dancers, and appeared to be moving relatively well and freely. Ortega said that at no time did Jackson suggest he was doing the concerts for the sake of money. Despite enjoying one of the most successful careers in pop music that spanned 40 years, Jackson left debts estimated by some to be around $500 million. The string of shows and other projects with concert promoter AEG Live would have gone some way to clearing those arrears. Sony Pictures paid $60 million for the footage of Jackson in This Is It, and Jackson’s estate and AEG Live were to share the profits. Pre-sales ahead of the theatrical release have been particularly strong in the United States, Japan and Britain. 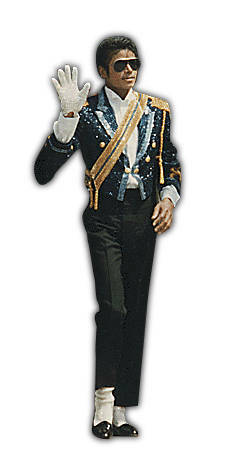 A two-disc Jackson album, also entitled “This Is It,” goes on sale internationally on October 26 and in North America on October 27. It is being released by Sony Music’s Columbia/Epic Label Group, which, along with Sony Pictures, is a unit of Sony Corp.
sony music would be the biggest company in entertainment from what i see in the future. they have a good business plan .,.